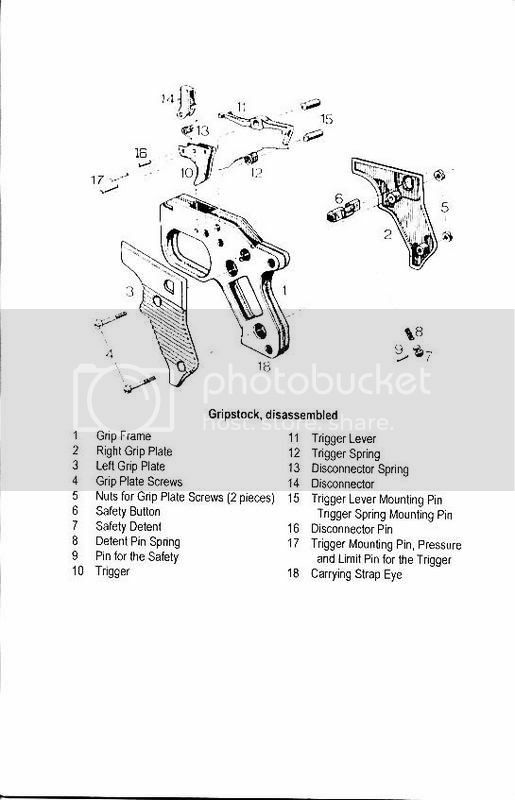 Its the part that contains the fire control group ( FCG ) including the trigger. It controls the release of stored kinetic energy to fire the gun by releasing the bolt in a full auto ( FA ) or the hammer in a semi-auto ( SA ) . 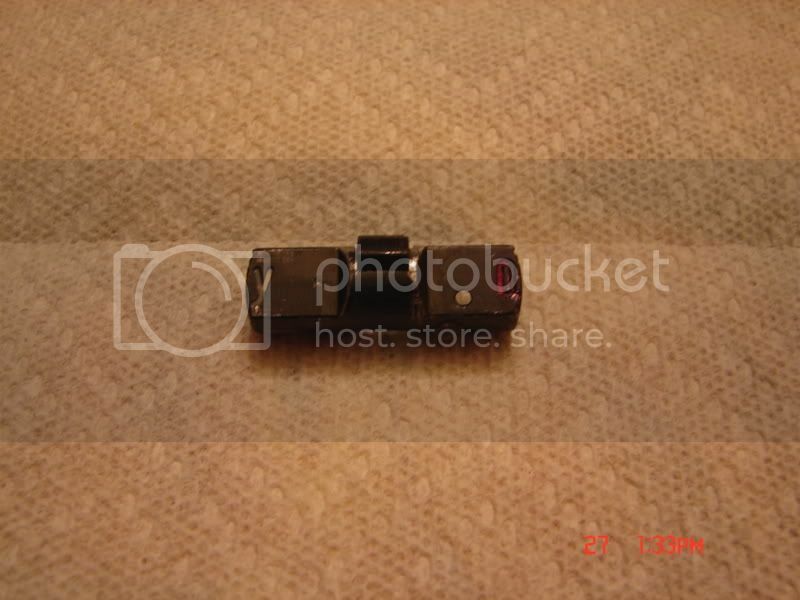 It fastens beneath the rear half of the receiver. 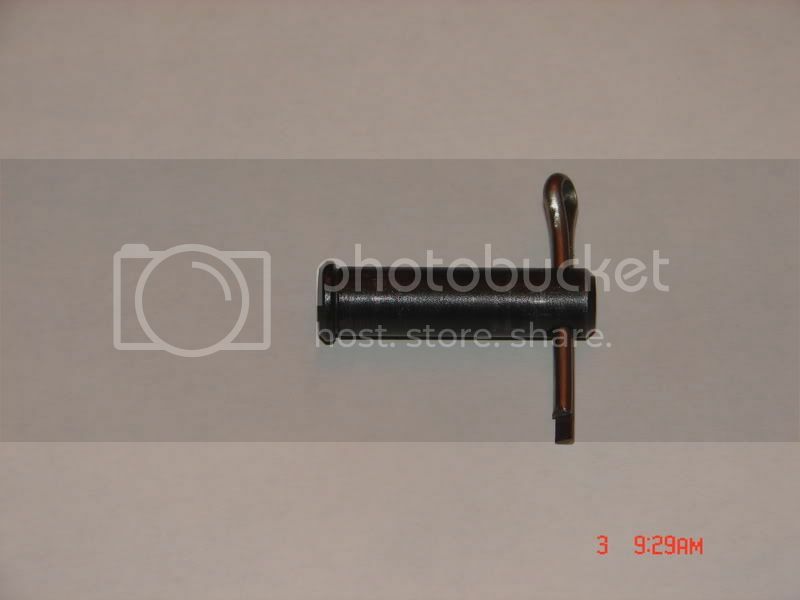 a two piece retainer consisting of a male split pin and a female hollow tube . 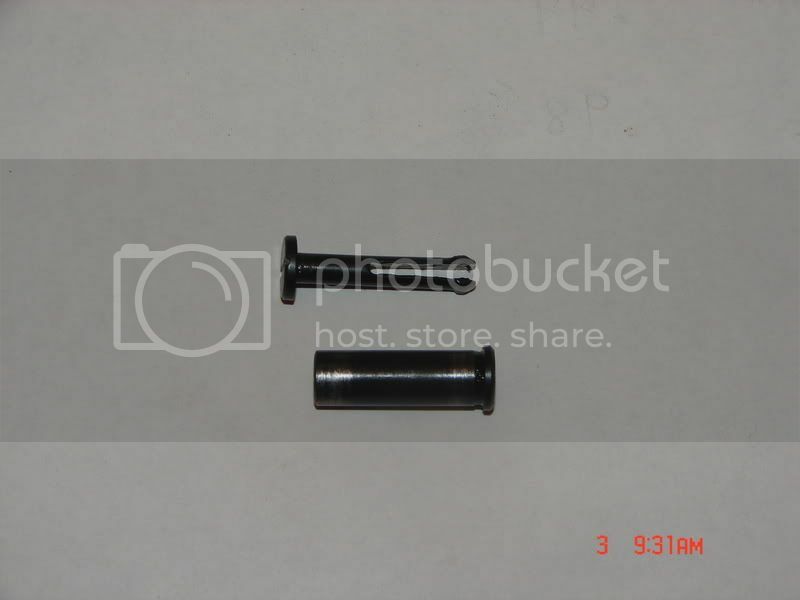 The split pin locks into the larger hollow tube very securely . For a Full-Auto by a notch at the top and front of the grip that slides onto a lip of the receivers bottom floor. A set of "ears" welded to the bottom of the receiver for a HK G3 pin to insert through the ears and Gripstick. This is a very solid mounting system. What are the different counties that made Gripsticks ? The MG42 series guns are made in a few countries but for right now we here in the states are only seeing German and Yugoslavian Gripsticks imported so thats what this stickie will focus on. What are the different types of Gripsticks ? 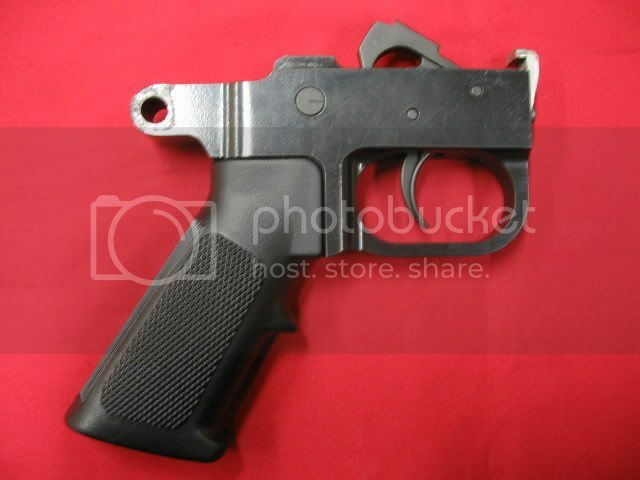 The semi-auto ( SA ) version . How can i tell a German & Yugo Gripsticks apart ? 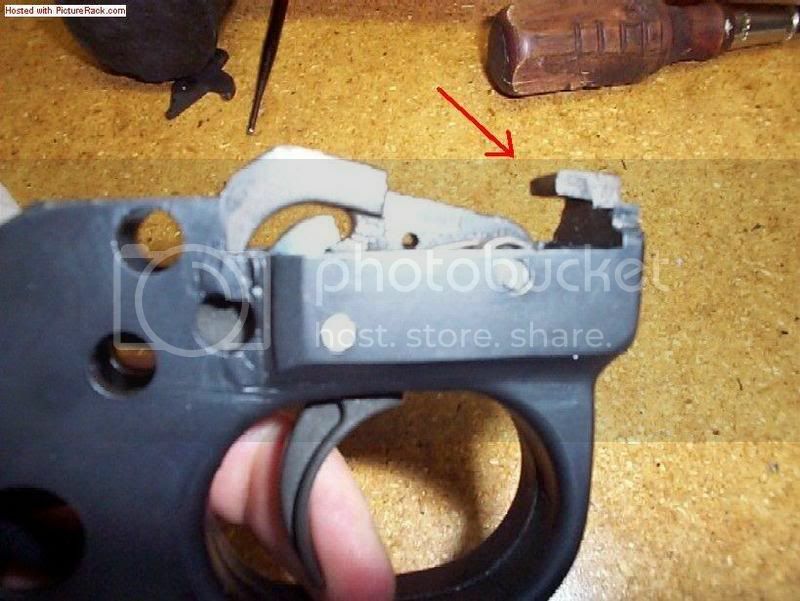 The first picture shows the MG42 German style safety selector with a S/F markings. 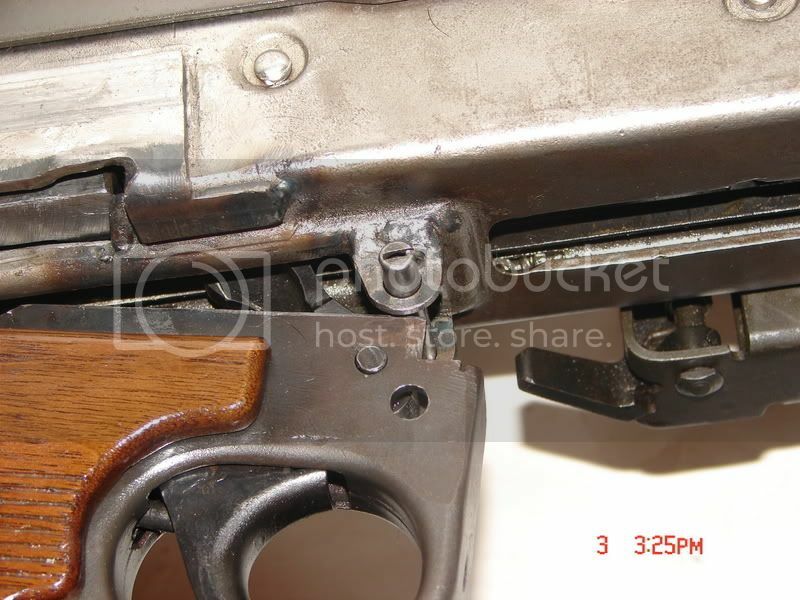 The second picture shows the MG53 Yugo style safety selector with Y/O markings. Are all the small parts compatible ? 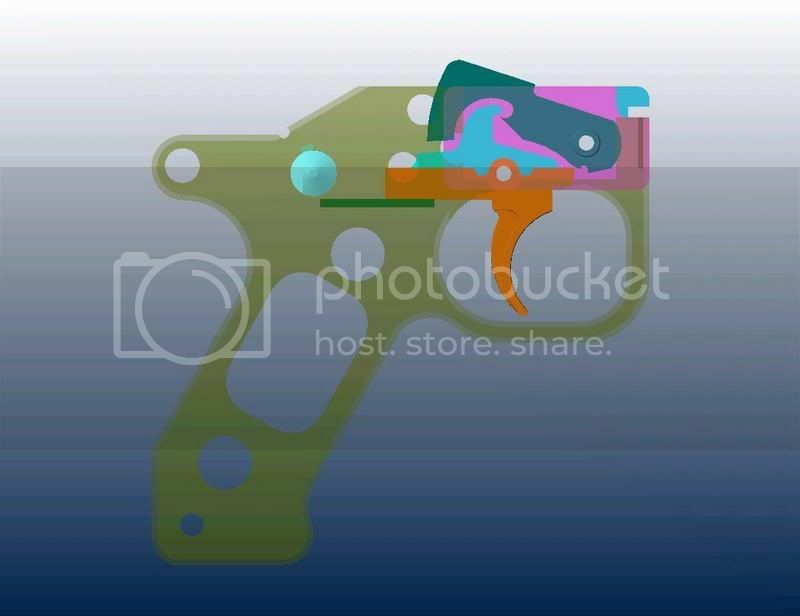 SA FCG parts will work in SA Gripsticks ONLY and will most likely be dedicated to a single receiver or at least to a single receiver forward mounting system . Less obvious are the small differences between German and Yugo Gripsticks . Which types of Gripsticks are compatible with which guns ? 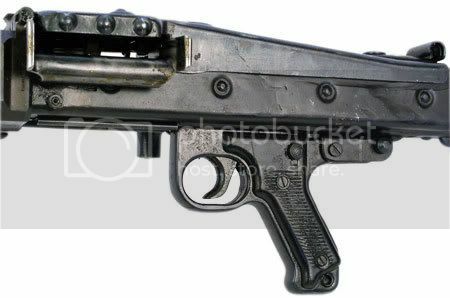 German and Yugo Gripsticks should be interchangeable as complete functioning units on either a German or Yugo receiver. FA Gripsticks will only work in FA receivers and SA Gripsticks will only work in SA receivers. How many pieces should i have in a FA Gripstick? How do i assemble the FA Gripstick ? Follow the diagram there are no special tricks you need to know. How many pieces should i have in a SA Gripstick? 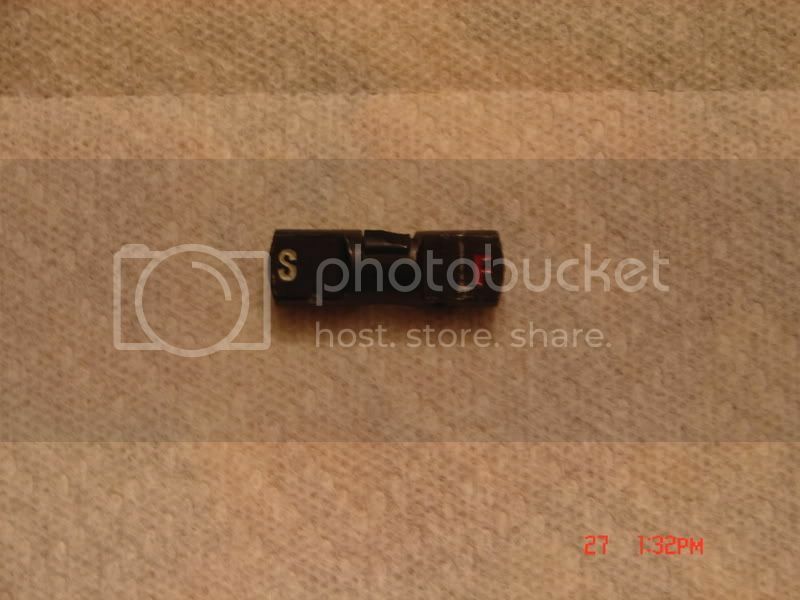 How do i assemble the SA Gripstick ? That will depend on which type you have , provided is an illustration for the AR15 FCG. shown below is a FAL Gripstick made by Pirate, withoak grip panels made by M1 Tankerand a MG42 trigger shoe I added to make it look more original. 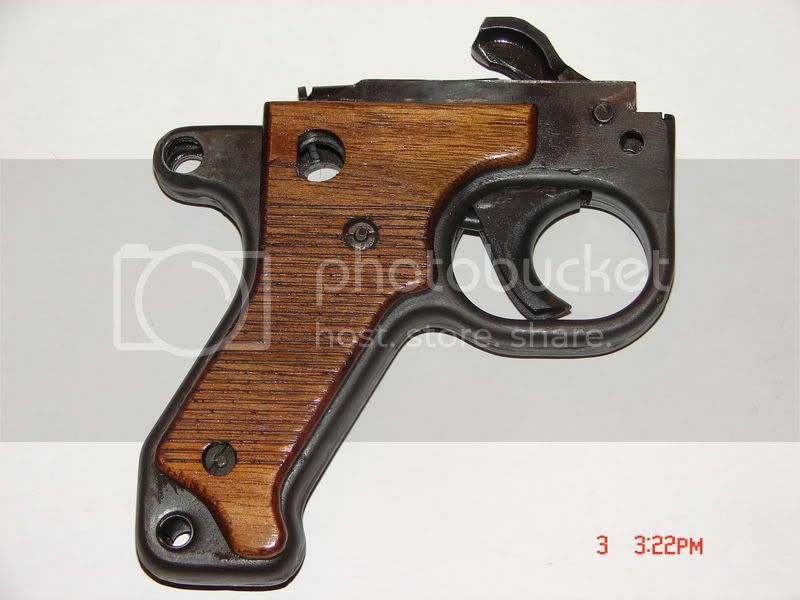 What modifications are required to convert the Gripstick to work in the semi-auto SA42 ? The first and most important modification is the removal of the full-auto mounting ledge at the top front section of the Gripstick. 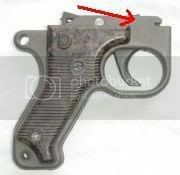 This modification is why SA guns use different systems for mounting the front of the Gripstick. After that you'll need to make specific modifications for the FCG you chose to use and the forward mounting system . Those modifications are better detailed in a build tutorial. 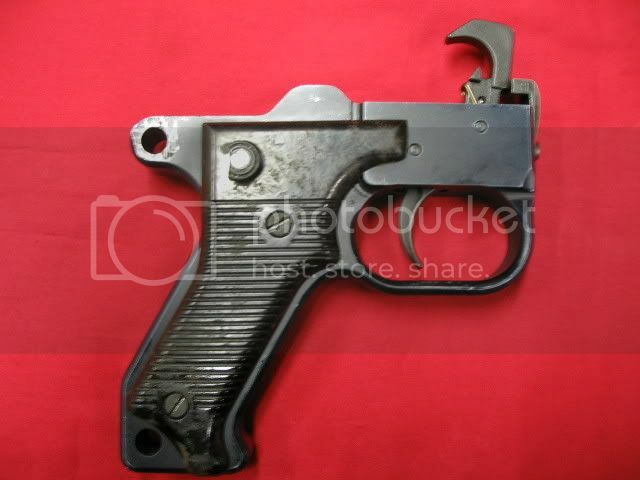 Who can modify the full-auto MG42 Gripstick that came with my kit into a semi-auto for me ? Pirate is a member here on this forum that can help you to modify your Gripstick to semi-auto using FAL FCG components. panaceabeachbum is a member here who manufactures a replacement Gripstick that uses AR15 FCG components. BRP Corp.also offers semi-auto services. I'm not sure if they are currently doing Gripstick modification but I've included them for now.